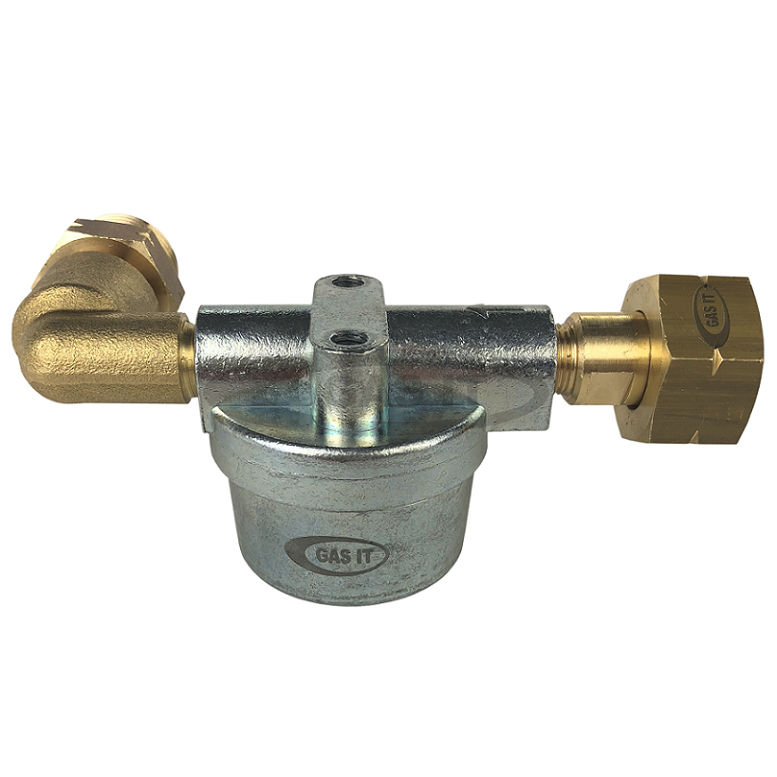 GAS IT Vapour filter for gas bottles and gas tank - GAS IT Leisure Gas Bottles, Gas Cylincers and Gas Tanks - Catering, Motorhome, Campervan, Caravan, Farrier and Road Repair Refillable Gas Solutions. This GAS IT filter has been superceded with our new High Capacity filter range range. 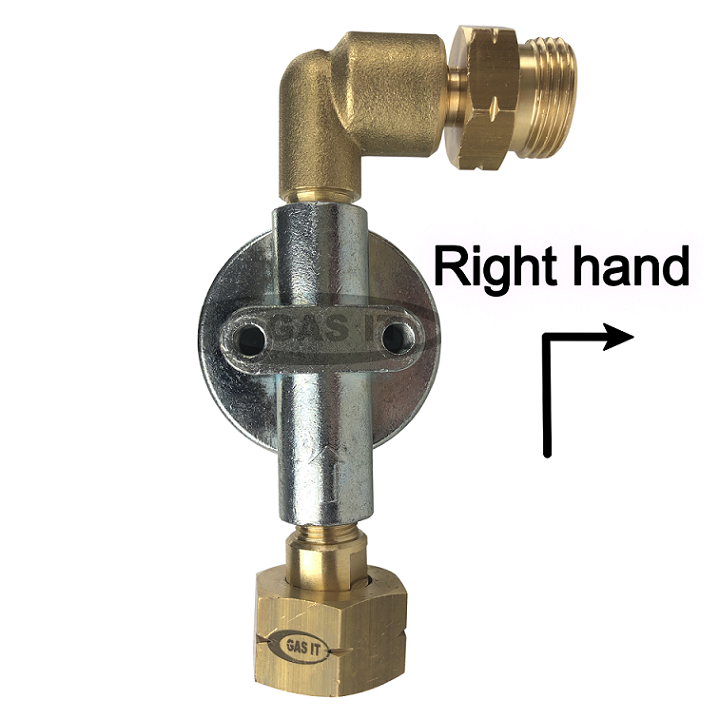 GAS IT's right handed vapour filter has been specifically designed and developed by us for any vapour bottle with 21.8 LH gas outlet thread fitting ( GAS IT, gaslow,Alugas) as it offers great filtration functionality, super compact design and all at a rock bottom price. It will fit GAS IT bottles, Gaslow bottles and Alugas bottles and any other brands of exchange gas bottles using the UK and EU 21.8LH gas outlet. It comes with a compact 90 deg gas inlet which offers a better solution for space restricted gas bottles in lockers. We do sell a Straight version of this filter which whilst specific for underneath vapour tanks, will work on 21.8LH outlet gas bottles if you want one. Its selectable in a drop down menu when buying this bottle filter. Whilst this Bottle vapour filter is small in size, its a very capable high flow filter unit capable of working in all vapour applications on Caravans, Motorhomes, Catering or even road repair. Its small filter bowl means it will fit with easy in many space restrictive applications and will not catch on the bottles. It is designed to be connected on the outlet of the Vapour bottles and allows your existing pigtail or regulator to be connected direct to the filters outlet. The filter is easily cleanable and the service filters are cheap and simple to replace every season. so there very little running costs for servicing. It is fully certified and complies with UK and EU gas regulations. This will work on propane, butane gases and all types of Autogas mixes. The length of this vapour filter is 111mm.